Happy Sunday! Hope your having a lovely weekend - I've just got back from a lovely time at Liverpool and thought I'd do a little beauty blog post for you all. Lately I have been trying lots of new products which have came out (I can't resist a new beauty product) so I have a lot of posts planned - to share with you my thoughts and reviews! 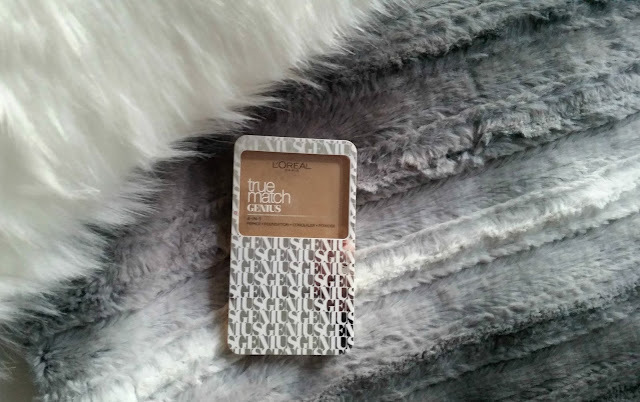 Today I thought I'd fill you in on the Loreal True Match Genius foundation which I have been using non stop the last few days to find out how it lasts, the best ways to use it and my real, honest thoughts of the make-up! This is a 4-in-1 compact foundation which means it is a primer, foundation, concealer and powder all rolled into one! 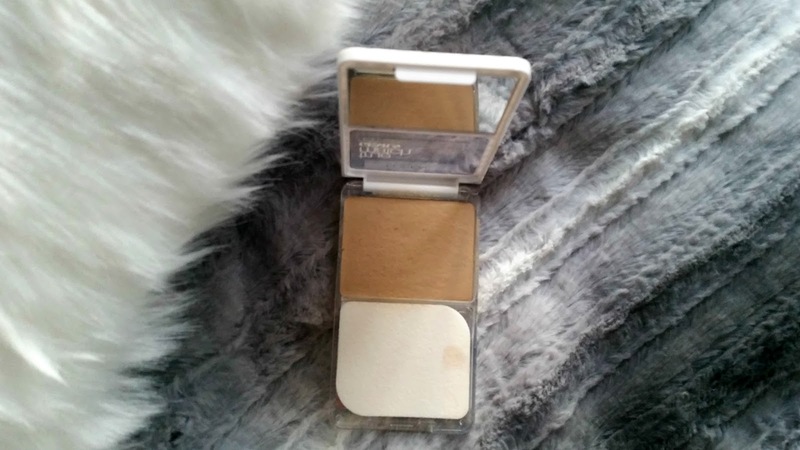 I loved the sound of this, great for an everyday compact foundation for quickness. The packaging is slightly deceiving as the make-up is only in the area you can see which doesn't look like it would last very long! But after using it quite a bit you don't need a lot of the product and I think it definitely will last a while - which I was pleasantly surprised with! I got the colour Golden Beige which is perfect for me, but being a true match foundation it doesn't have as much of a colour range as the liquid unfortunately, it'll be great if they bring out a larger range for more skin tones. I don't tend to use the sponge as I find the product to sink in and prefer using a stippled brush straight from the compact, you only need a small amount on the brush and it smooths over the full face! The consistency is lovely and creamy - leaving the skin looking smooth and flawless. I would say it was a medium coverage,but definitely build-able without looking thick or feeling heavy on the face. I have been using this without any other powder or primer and find it works perfectly, it does get a little oily as the day goes on but it is lovely and I think it will be perfect for the summer if you love a creamy foundation without anything feeling too heavy! I love Loreal products especially the original liquid true match foundation and this is a new one to add to my favourites, it is perfect to carry with you when travelling or for something quick and easy for on the go with a beautiful, flawless finish!